Home beef cattle environment family family farms farm facts farm family farm kids farm life farming friday fields hay headlines off farm job Finally Friday!! So Monday was my first day back at my job with the county. actually its a perfect fit! As cattle farmers we are dedicated to leaving the environment in better shape for the next generation. Like these kiddos, who all have plans to grow up and be involved in agriculture...one day! 2) Limited Stream access...to help with erosion along creek beds and banks we have limited where our cattle can access water and in some cases fenced them completely out of the water source and provided the cattle with water troughs...which some of you may think whats the big deal but putting a well in the middle of a cattle pasture is a big deal especially when there isn't a power line for a few miles! 3) No-till...the majority of our crops are planted using no till practices...this helps reduce erosion in our fields...it also improves our soil so that we use less fertilizers and pesticides. Which when we do use fertilizer we spread animal waster generated on our farm...which is a natural product! Those are just a few of the practices we use on our farm. and farm the land...grow food for the world...and pass it on to another generation. Farmers are the FIRST environmentalist. Hi Caci. Just found your blog. 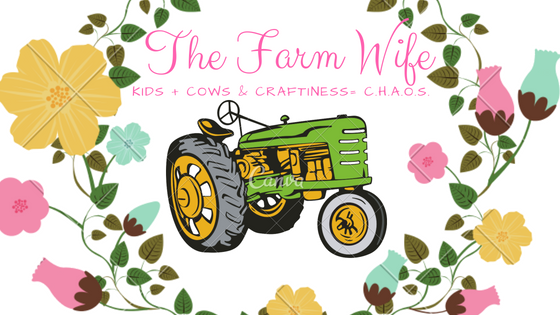 This post is perfect for the Farm Blog Contest I am having at http://farmnwife.com/update-on-your-farm.html The topic is update on your farm. Put a link to your post in the comments and you are entered.